We recently installed a thermostat with the WiFi feature. Are WiFi thermostats part of smart home trends? The answer in the writers opinion is definitely yes. Although this one is a stand alone model i.e it is not integrated with anything else, it is a beginning. The screen on our thermostat looks exactly like this one. 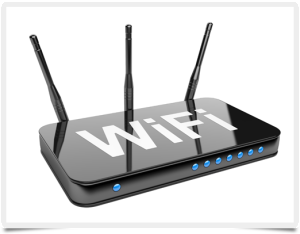 I have been able to test the WiFi capability from inside our home as well as remotely. It works well 99% of the time. Occasionally I cannot connect with the server that runs the whole thing. I do have some concerns about this model. Part of the setup involved providing the password for by local WiFi to the unit. I also needed to provide this same information to the a server operated by the manufacturer. I could have enabled my installer to also have access. There are a number of potential security weaknesses to this particular set up. Passwords can be compromised in any number of ways. Hacking is one thing that comes to mind. What are the chances that my system will be hacked? probably pretty low! Other than the security concern I am pretty happy with the unit. I can check on the temperature inside the home. I can also adjust the cooling or heating mode as well as set the temperature inside the house. The fan can be cycled on all of the time, auto or turned off completely by turning the system off. All of this can be accomplished remotely from another room in our house as well as from miles away! 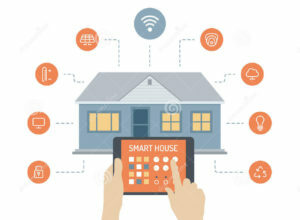 For more information and posts about smart homes, click here.